A central heating pump provides heating systems with (hot) water. Did you know that a standard central heating pump is responsible for 10% of your energy costs? 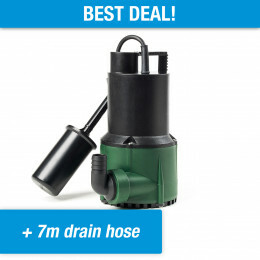 Directly start saving 70% with our central heating pumps! Replacing your old circulation / central heating pump? Wat te doen als mijn merk / type er niet tussen staat? Klik hier om uw merk en type door te geven. Wij gaan dan voor u op zoek naar de juiste vervanger. 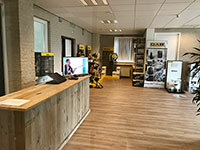 Screw connection: 1,5” / Doorlaat: 1"
A circulation pump is also often referred to as a central heating pump or underfloor heating pump. They are all similar pumps, but are called differently for each individual application. 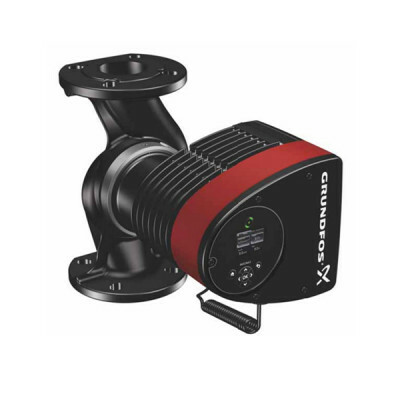 Depending on your application and the connection dimensions you are looking for, we can easily provide you with a suitable pump. A circulation pump is a pump that provides heating systems with (hot) water. Circulation pumps can be found in any home or building with a radiator and/or underfloor heating. Having both radiators and underfloor heating means there are multiple circulation pumps present. Moreover, larger homes/building often have multiple circulation pumps to guarantee full circulation. One could say that the circulation pump is the heart of your central heating or underfloor heating circuit. Moreover, in cases where your central heating or underfloor heating stops working, it is often the circulation pump that needs replacing. Depending on your central heating system, the central heating pump is usually located behind the front panel of your heating cupboard. Your current pump will almost always list the applicable sizes. These must match the circulation pumps in our range. If the sizes are not listed, you can also easily look up the brand and serial number by using our replacement chart. Once you have found a matching pump, please check our explanation at the bottom of this text on how to replace your central heating pump. 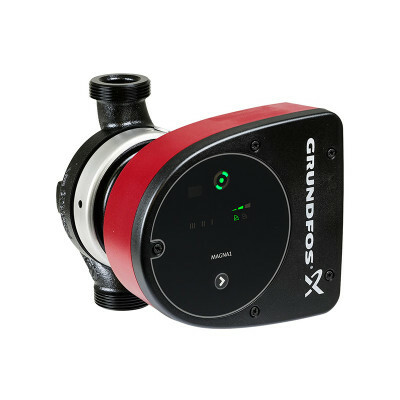 In creating our product range, we have opted for three central heating or circulation pumps. With these three sizes, we can find a suitable replacement pump for almost any setup. 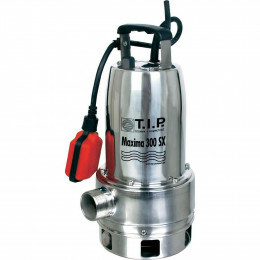 Moreover, with these pumps you can also directly start saving on energy costs. Read more about the latter below! Replacing your circulation, central heating or underfloor heating pump is fairly easy. As a result, you don't have to spend a lot of money on a mechanic. Please take a look at the following steps or the video at the bottom of this page. 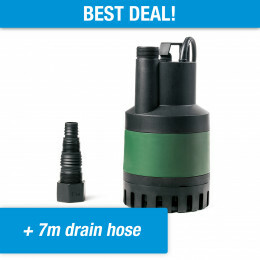 Of course, you can always have a professional mechanic purchase and install your pump, but you will save quite a bit of money if you order your circulation pump at a sharp rate via our website. In that case you will only have to pay the mechanic for the installation work. How does a circulation pump work? A circulation pump has only one purpose: to circulate water in a closed circuit. The pump is installed in or next to your boiler and is positioned directly between your water supply pipes. It is supplied with cold/lukewarm water. Depending on the required temperature in the building, the water is heated in the boiler. This water, whether heated or not, is then pumped through the pipelines by the circulation pump. The pump does this by rotating the impeller (blade wheel) at a certain speed. Older (more conventional) circulation pumps usually have three adjustable speeds. The greater the speed, the greater the pump's energy consumption. 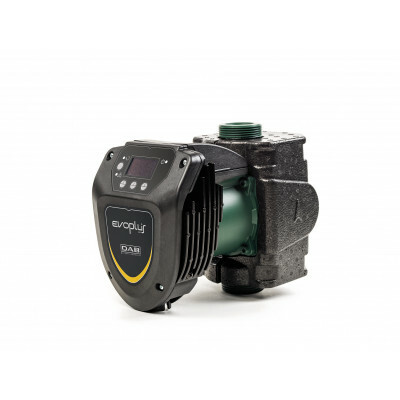 New circulation pumps (such as the DAB Evosta pumps) are equipped with an integrated inverter. 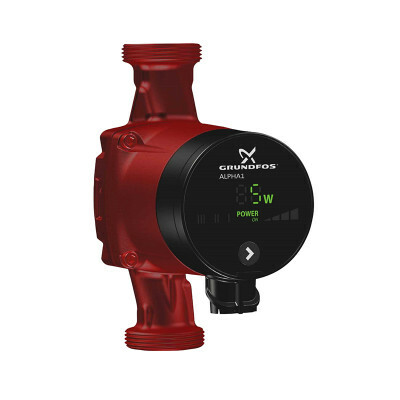 This adjuster ensures the speed of the pump is automatically controlled and is therefore not limited to the 3 speeds of conventional pumps. This guarantees average energy savings of 70% per year! It is therefore highly recommended to always consider an energy-efficient circulation pump. The circulation pump is one of the largest energy consumers in your home. This is because the circulation pump usually has to run continuously to ensure proper water circulation. Conventional circulation pumps (which are still present in about 80% of homes) consumes an average of 450 kWh annually. 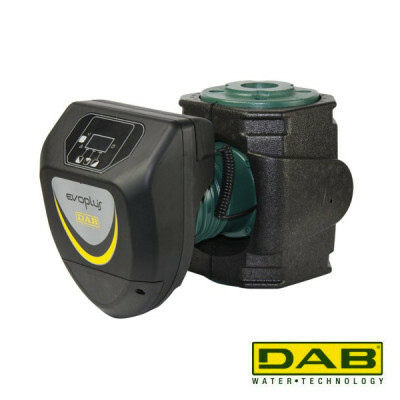 Fortunately, the circulation pumps in our range - the DAB Evosta circulation pumps - are much more energy efficient. These pumps have an A-label, are frequency-controlled and consume an average of 135 kWh annually. This amounts to 70% in savings, or € 78.75 a year! 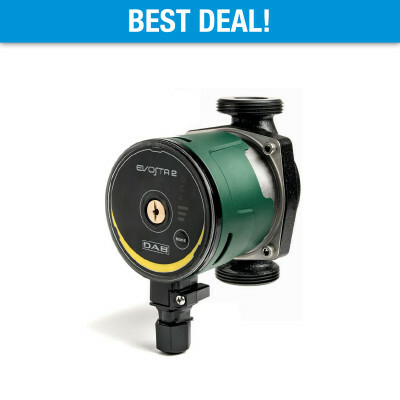 This means that you will recoup your investment in a DAB Evosta pump within just 2.5 years. Start saving as quickly as possible. People who contact us for a replacement pump, often call us because their previous pump is broken. However, replacing your central heating, circulation or underfloor heating pump can already be extremely lucrative even before your old one breaks. Start saving money today! 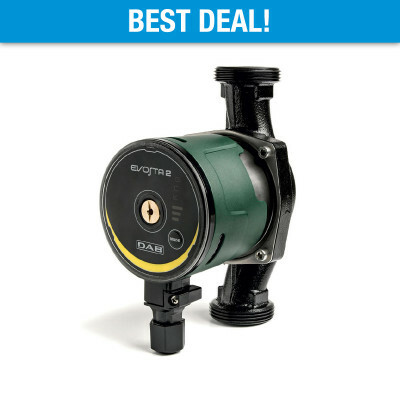 All circulation pumps - even decades old pumps - can be directly replaced with the DAB Evosta series. 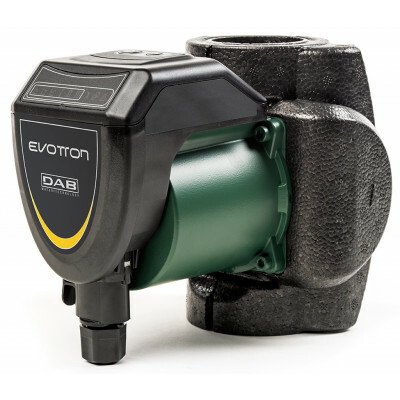 The DAB Evosta circulation pumps are available in three different versions. In other words, you can start saving energy immediately! The only thing you need to know is your current pump's brand and type. Please take a look at this replacement chart, find your current pump and see which DAB Evosta pump can replace your current version. Replacing a circulation pump is very simple. Anyone with some DIY skills and pump pliers can do it themselves. Even if you don't have a set of pliers, there's no doubt someone in your family/circle of friends will. Retighten the two swivels using the set of pliers.